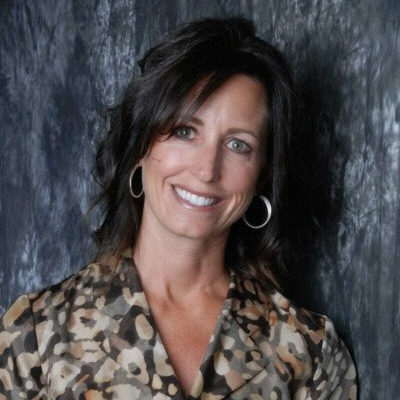 Dawna worked with us to sell our current home, as well as, find a new home in Parker, CO. We aren’t the most decisive people, and Dawna was always available to look at numerous types of homes and areas. She was very professional, polite, and honest when asked for her opinion on a property or location. She helped arrange contractor quotes for fixing issues on our old home, as well as, showing up to review the requested repairs on our new home purchase. In the end we actually closed on the sale of our old home and purchased our new home on the same day. Very hectic but also nice to move in right away. We would recommend Dawna to our friends, and would use her again in a heartbeat. We used Dawna to buy our very first home. She helped us with everything! Not only did she get us a good deal on the house, but she made the whole process very easy and smooth for us…we didn’t have to do much of anything at all. We are very excited about our new home, and would highly recommend her to anyone! We feel so fortunate to have Dawna as our realtor. She assisted in our move to Colorado in more ways than we could have ever imagined. She made everything easy for us and we felt completely taken care of by her. Dawna is a true professional who cares about her clients and their needs. We would recommend Dawna to any of our family and friends and feel confident that they would love her as much as we do. Her knowledge of the industry and of the area are second to none. She is someone you can trust and rely on always. Helping clients reach their goals is what I love to do, and I can help you reach yours! My Career in real estate began in southern California in 1988, where specializing in meeting the unique needs of first time home buyers was my primary focus. Subsequently, a move to Colorado in 1993 opened up new opportunities. My husband, Dave, established Davis Development, Inc. after our move, which enabled me to add a new dimension of service for my clients. If the ideal home my clients are looking for is not available within an existing market, we build it! Dave and I ensure that each requirement specified by our clients is met within the design of their custom-built home.